Today’s IT professional is stuck in the middle of a file sharing tug of war. One side has the end users who want the improved productivity that mobility and collaboration promises. The other side consists of corporate governance that wants to eliminate data breaches and improve data protection. 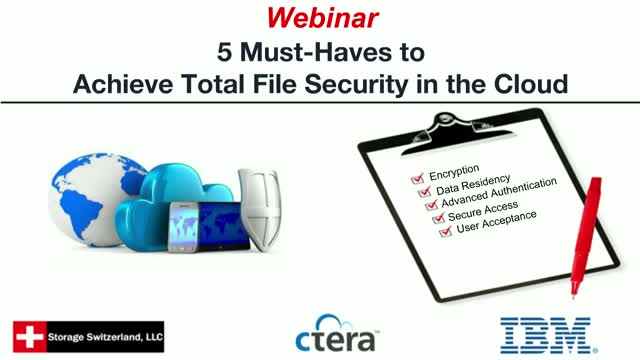 In this live webinar, join experts from Storage Switzerland, CTERA and IBM as we discuss the "5 Must-Haves" so IT can make both sides of the issue happy while at the same time making its job easier.